When it comes to designing an incredible room, a chandelier represents the jewelry that completes a look, or the frosting on the cake. 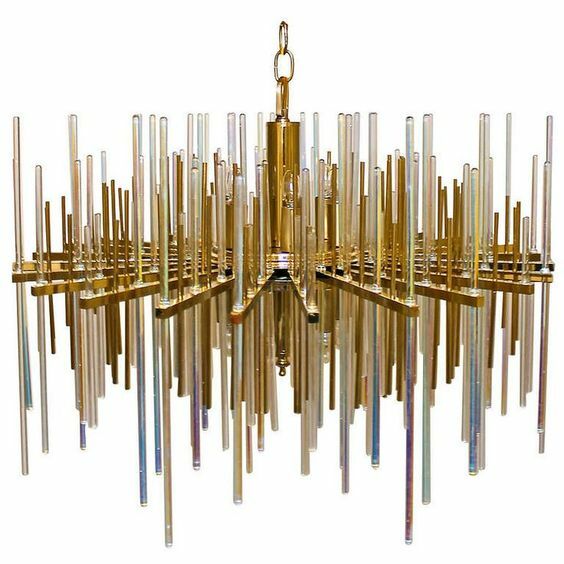 This week, I am going to begin a several part series that will explore some of the most spectacular chandeliers available in the market. All too often, people think of a chandelier as something extremely formal, only to be used in very special places such as a dining room or living room. The fact is that a chandelier—in the correct scale—will turn your modest water closet into a fabulous powder room, or your simple bedroom into a fantastic boudoir. Below is a collection of my favorite pieces from some of the most talented artists in the world. Prepare to be inspired! 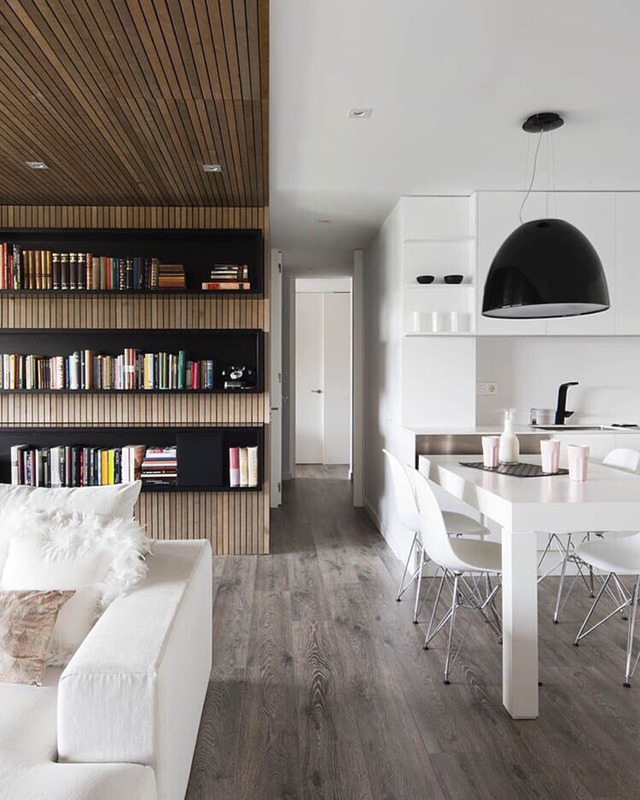 This simple black drum light fixture is perfect in a stark white kitchen, especially with the adjacent black lacquered bookshelves. 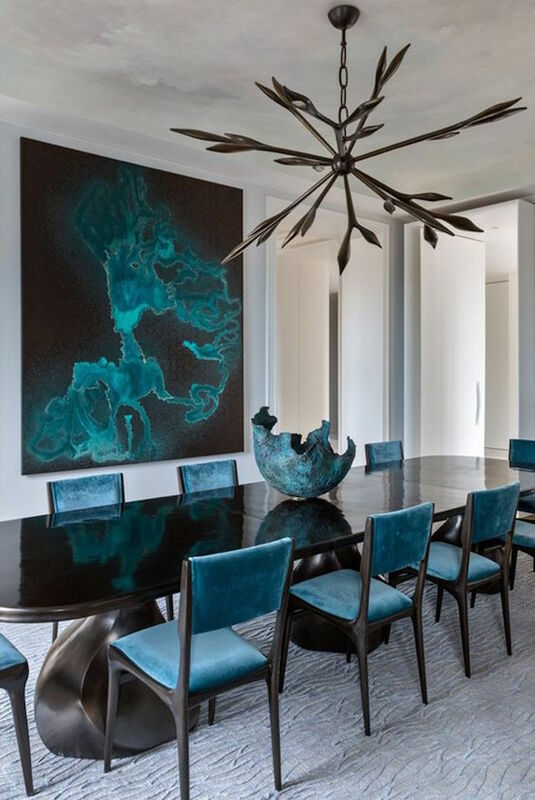 This wildly sculptural Hervé Van der Straeten chandelier is the perfect balance of organic and masculine inspired by nature. 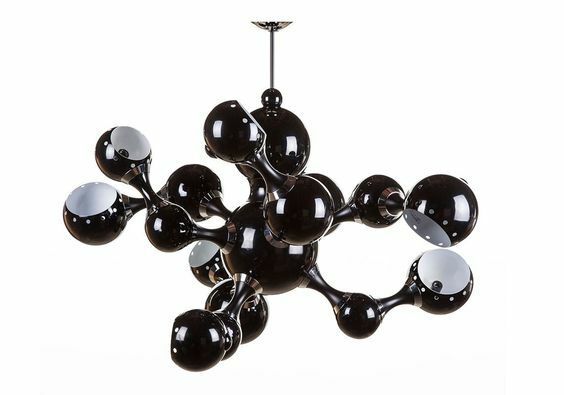 A Sputnik black and gold chandelier—this model with arms has become quite the emerging trend in design. Perfection by Hervé Van der Straeten at Ralph Pucci Galleries. A kitsch chandelier works well with the nickel hardware in this classic French bathroom. Remember: don’t be afraid to mix metals when it comes to a chandelier. 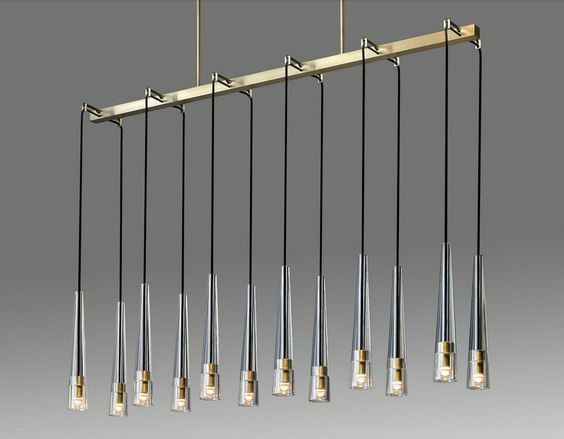 The ‘Orbiter’ Chandelier by Stilnovo makes for the perfect man cave accessory. 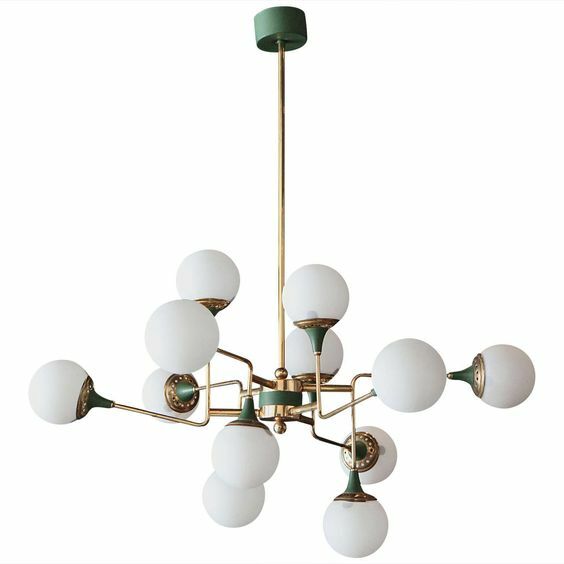 An incredible Stilnovo mid-century chandelier can make a room. We love the frosted glass with the patina arms and deep green enamel details. 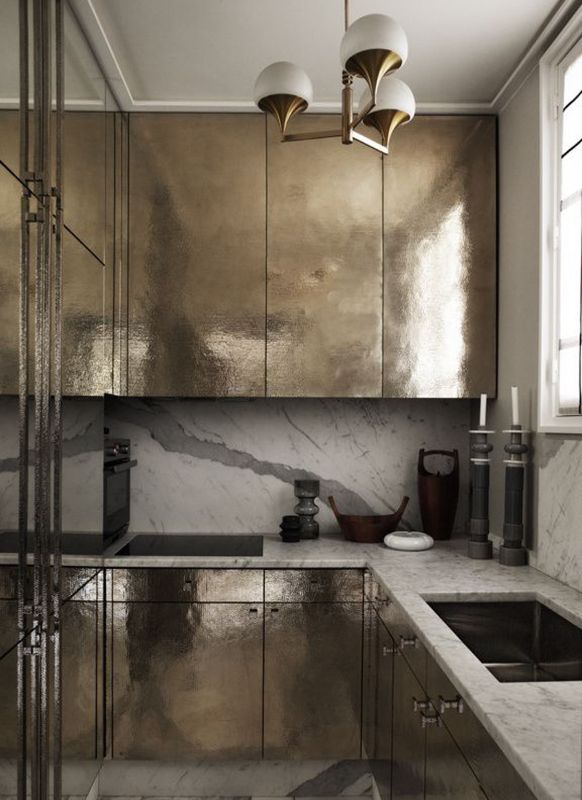 This simple brass and frosted glass chandelier is the perfect addition to Deniot’s incredibly glam brass kitchen. Rock Crystal Herve Van der Straeten, Galatée Chandelier, inspired by nature and origami. 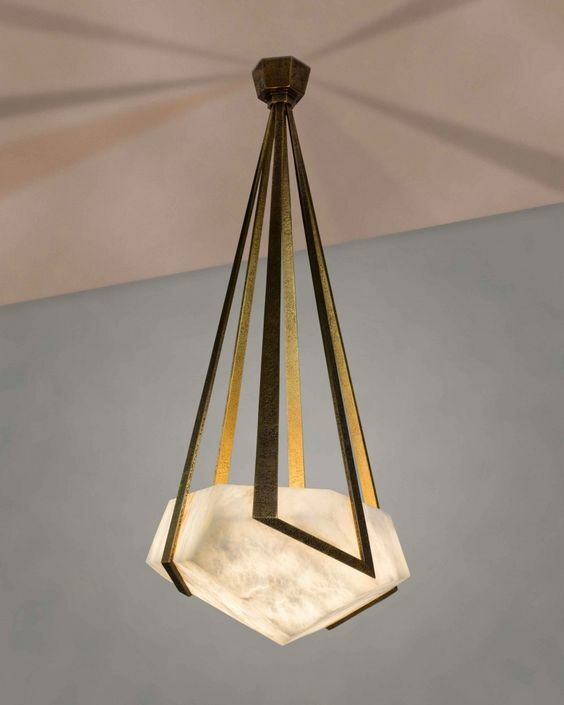 This customizable chandelier by Local New York artisan Jonathan Browning is a go to favorite for above bars or countertops or even in long hallways with high ceilings. 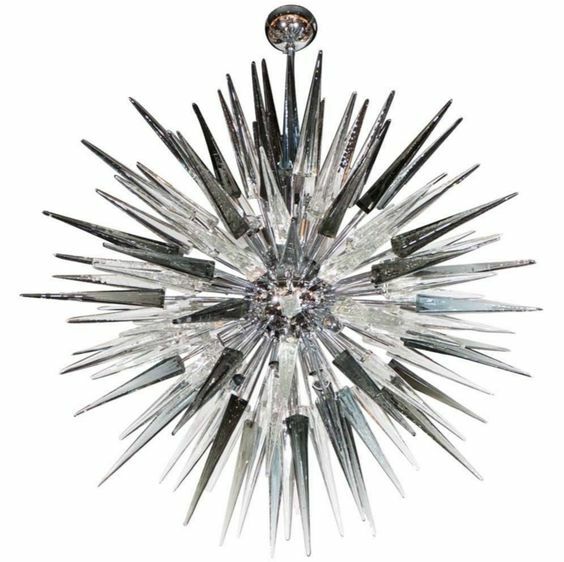 An incredible smoked glass Murano spiked starburst from High Style Deco in New York. 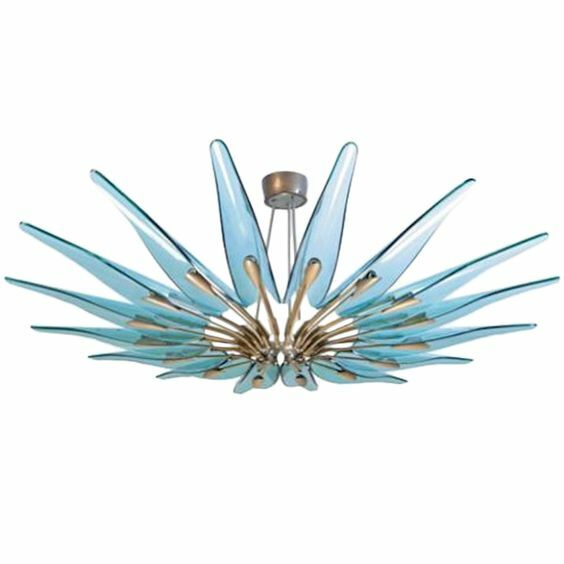 A favorite—Max Ingrand Chandelier for Fontana Arte masterpiece in blue. This piece is great for a larger room with lower ceilings.